Ready for a new weeknight favorite? 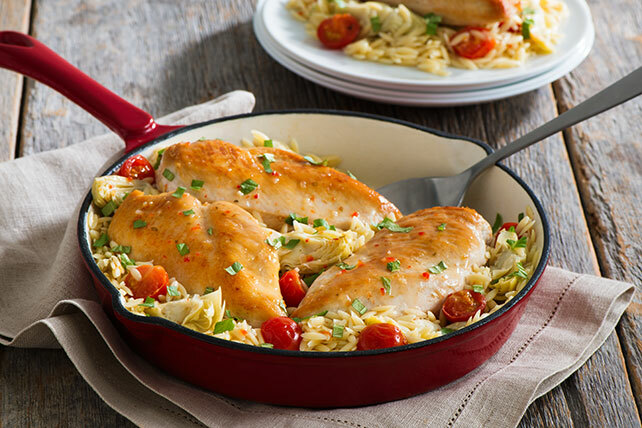 How about zesty chicken and orzo with artichoke hearts and cherry tomatoes cooked lightning fast in a skillet? Remove from heat; let stand 5 min. Top with basil. Cut chicken into bite-size pieces before cooking.